Mokena-based Gas n Wash has announced it will open a second location in Mokena at 6 a.m. on Friday, Nov. 16, at 19990 S. LaGrange Road. It will be the company’s seventh location. The company also operates Food n Fuel locations in the south suburbs. The new Mokena location will feature a car wash, fuel pumps for cars and trucks, a convenience store as well as Beggars Pizza, Great American Bagel and Hog Wild Express restaurants. Great American Bagel and Hog Wild will offer window service in separate drive-thru lanes. This will be the second go-round for a second Hog Wild location. 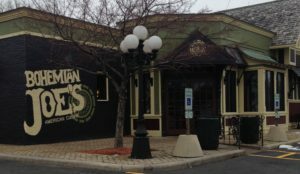 The popular eatery is based in Midlothian and opened a location in Tinley Park several years ago that subsequently closed. The new Hog Wild will offer dine-in eating as well as drive-thru. The Mokena restaurant will also accept credit or debit cards, which the original location in Midlothian does not, it will remain a strictly cash operation. Hours will be 10 a.m. to 10 p.m. daily. The car wash is located on a former campground that was abandoned years ago. A new traffic light has been installed at the entrance to the new facility, which went into operation this week. Plans for the gas station were first approved in June 2017 and construction began in April. United Real Estate Elite will hold a grand opening, ribbon cutting and business after hours from 5-7 p.m. Thursday, Nov. 15, at 19606 S. LaGrange Road in Mokena. The ribbon cutting is set for 5:30 p.m. Refreshments will be served. Konquer Dance Company held its grand opening and ribbon cutting on Saturday, Nov. 10, at 8600 W. 159th in Orland Park. Luxurious Lathers, a boutique that sells soaps and body products, held its grand opening and ribbon cutting on Saturday, Nov. 10, at its new home at Orland Square Mall in the upper level near Macy’s. It has a second location at Yorktown Shopping Center in Lombard. Great Clips held its grand opening and ribbon cutting on Oct. 29 at 15958 S. Harlem Ave. in Tinley Park. Jem MedSpa will hold its grand opening and ribbon cutting from 5-7 p.m. Wednesday, Nov. 14, at 11219 W. 159th in Orland Park. Premier Veterinary Group will hold its grand opening and ribbon cutting from 11 a.m. to noon on Wednesday, Nov. 14, at 7000 W. 159th in Orland Park. The ribbon cutting is scheduled for 11:15 a.m. The 12,000-square-foot animal hospital offers round-the-clock emergency care and critical care for pets. Kup A Joe’s restaurant at 41 Old Frankfort Way in Frankfort will hold its seventh annual Customer Appreciation Turkey Dinner on Saturday, Nov. 17. The dinner is free but reservations are required at 815-464-0909. For anyone 12 and older. There will be three seatings of 80, at 4, 5 and 6 p.m. Guests are asked to bring a food item for an area food bank. Raffy’s has opened a second location in Frankfort’s Trolley Barn shopping center. 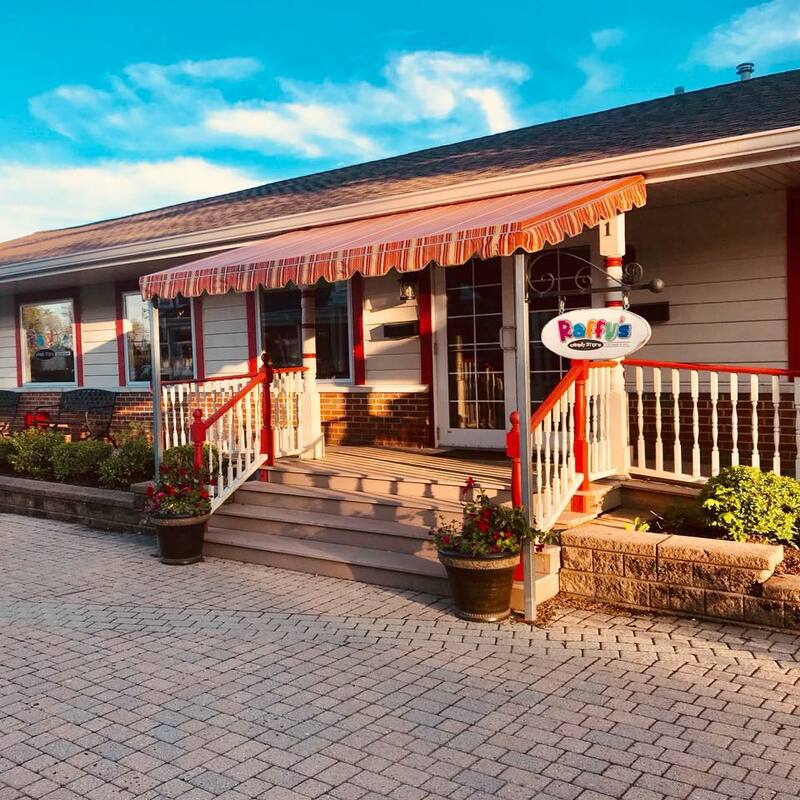 Raffy’s Candy Store, which opened in late 2015 on U.S. 30 in New Lenox, has opened a second location in the Trolley Barn shopping center in historic downtown Frankfort. Dave Rafalski, who co-owns the sweet shop with his wife, Pam, said the new location opened May 30 at 21 White St. The new Raffy’s is pretty much a carbon copy of the New Lenox location, Rafalski said. And except for the lack of soft-serve ice cream in Frankfort, the store features the same sweet treats as the New Lenox location. There’s a wide selection of candy including premium chocolate, Albanese Gummy Bears from Indiana and what Rafalski calls nostalgic candy, popcorn and nuts. Frankfort also will have hard-packed ice cream by the original Plush Horse ice cream parlor in Palos Park. Hours at the Frankfort location will be from 11 a.m. to 10 p.m. Sunday to Friday and from 10 a.m. to 10 p.m. on Saturday. First Midwest Bancorp Inc., the parent of First Midwest Bank, announced that it has entered into a definitive agreement to acquire Northern States Financial Corp., the holding company for NorStates Bank, based in Waukegan. NorStates Bank operates eight offices in Lake County and has approximately $500 million in total assets, $400 million in deposits, of which 90 percent are core deposits, and $320 million in loans. Based upon the closing price of First Midwest’s common stock on June 5, on the Nasdaq Stock Market, the overall transaction is valued at approximately $91 million. The acquisition is to close in the fourth quarter of 2018. Ryerson Holding Corp. announced that it has entered into an agreement to acquire Central Steel & Wire for $140 million. Central Steel has its main plant and offices near 51st Street and Francisco in the Gage Park community. The company was founded in 1909. It operates six plants, employs about 900 people and has annual sales of about $600 million. It produces bar, tube, plate and sheet products. Last year, it posted a $14 million loss. Central Steel will continue under that brand name after the closing of the deal, which is expected to come in the third quarter this year. Loop-based metal processor and distributor Ryerson is one of the 60 largest companies in the Chicago area, with $3.36 billion in revenue last year. Eddie Lehner, Ryerson’s president and CEO, had nothing but praise for Central Steel. Completion of the transaction has been approved by the board of directors of both companies and Central Steel & Wire shareholders signed a written consent approving the merger agreement and the transaction. The decision to sell was an about face for Central Steel, which waged a fierce court fight three years ago for the right to reject a more lucrative offer from Canadian manufacturer and distributor Samuel Son & Co.
American Eagle has completed the remodel of its Orland Square Mall store, which reopened late last month at the Orland Park mall. The store is located in the upper level Macy’s wing of the mall. WDB Marketing, a one-stop marketing and promotions shop that offers graphic design, print services, web design, marketing and promotional strategies, held its grand opening June 8 at its new location at 1007 E. 162nd St. in South Holland. Hours are 10 a.m. to 5 p.m. Monday to Friday. For information, call 708-527-3090. The website in www.wdbmarketing.com. Ooh Wee Sweet Tea and Ooh Wee Cereal and Candy Bar is expanding its presence at the River Oaks Center food court. Ooh Wee Burger Bar and Grill is coming this summer to the mall in Calumet City. 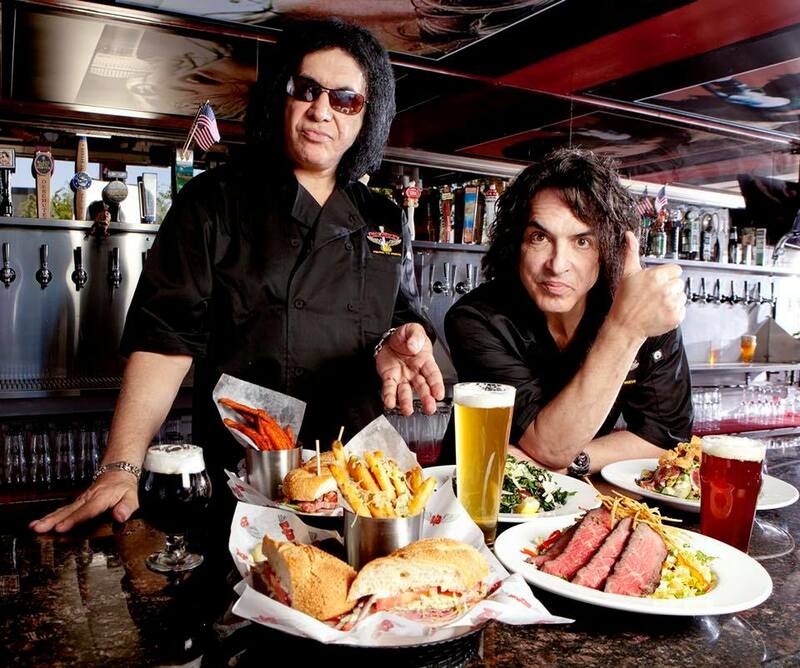 Two new restaurants, including one co-owned by KISS stars Gene Simmons and Paul Stanley, will highlight the beginning of phase two of the Stony Creek Promenade development in Oak Lawn. Rock & Brews is a California-based restaurant chain born out of a post-concert conversation among Simmons, Stanley, concert tour manager Dave Furano, his brother, merchandising pioneer Dell Furano and restaurateur Michael Zislis. The first one opened in El Segundo, Calif., in 2012. There are now more than 20 in eight states and Mexico. The Oak Lawn location will be the first one in Illinois of a planned 15-20 locations. Rock & Brews features American comfort food and craft beers. Also coming to Oak Lawn will be the Barrel Club, a locally owned upscale restaurant, which says it will feature some of the highest quality steaks and prime rib in the area paired with a house-distilled whiskey. Both restaurants are expected to open in 2019. Oak Lawn Mayor Sandra Bury announced the news on Facebook and said the news had gone viral. “Residents asked for upscale, fine dining and that what’s we’re trying to give them,” she said. “Everything is coming up roses at 111th and Cicero. “Please welcome them to Oak Lawn. Bury said there will also be a retail component in phase two. “I’m just not ready to make any announcements about retail,” she said. Bury also revealed that Mariano’s supermarket, which was part of the first phase of the Stony Creek Promenade, will be adding a fuel station to its footprint at the Promenade. 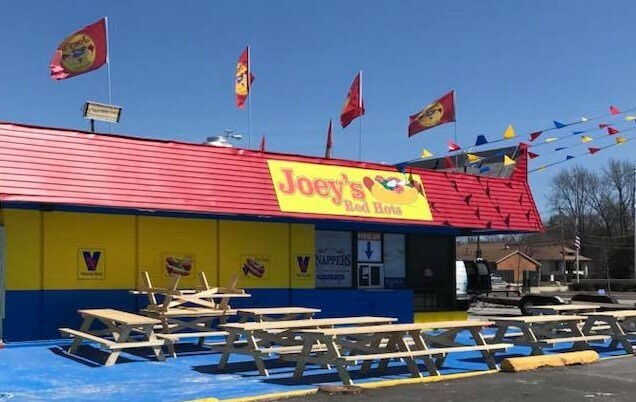 Good news for Southwest Side fans of Joey’s Red Hots, a popular hot dog stand in Orland Park. The eatery will open its second location next week in Chicago’s Morgan Park neighborhood. Joey’s will open Monday, May 7, at 11500 S. Western Ave. in the former Snappers Fish location across the street from the Morgan Park Sports Center. The new location will feature the same menu as Orland Park, which includes Vienna hot dogs, burgers, other sandwiches and salads. The new location will have outdoor seating on picnic tables, as well as offer catering, delivery and even a food truck. The restaurant’s first location has been open for more than three years at 17400 S. Wolf Road in Orland Park. Hours will be 10:30 a.m. to 10 p.m. Sunday to Thursday, from 10:30 a.m. to midnight on Friday and Saturday. A message to owner Anthony Nardo was not returned. 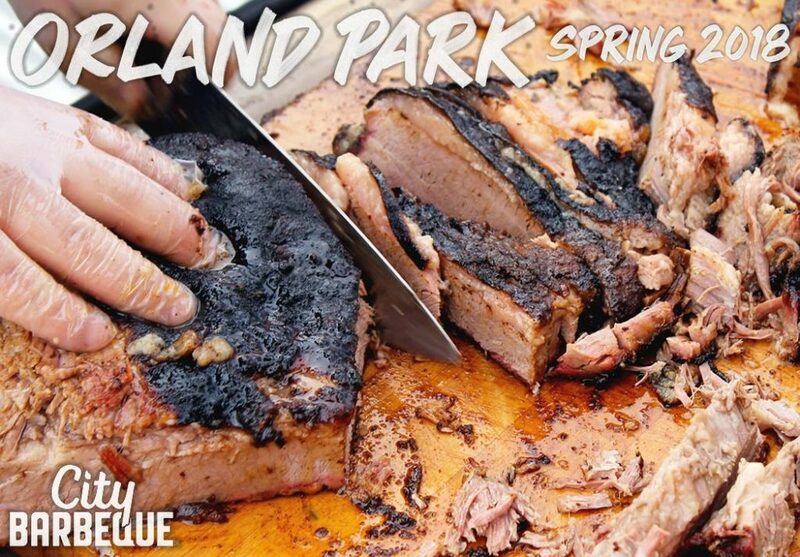 In Orland Park, a new barbecue joint called City Barbecue will open Monday and will hold its rib bone cutting grand opening ceremony at 10 a.m. Saturday, April 28, at 14301 S. LaGrange Road. It’s the second location in the Chicago area and its 36th location across the country. The first area location opened in October in Berwyn and four additional Chicago area sites are scheduled to open this year in Downers Grove, Deerfield, Park Ridge and Vernon Hills. All restaurants are company-owned. The Orland Park location will be 4,000 square feet of ‘BBQ-chic’ décor utilizing modern fixtures with weathered barn wood surrounded by floor-to-ceiling windows, according to a release. Indoor seating will allow for approximately 90 people, and the outdoor patio will seat another 40. Three state-of-the-art smokers will run 24 hours a day, seven days week to ensure an endless supply of delicious barbeque. The Orland Park location a partner with All God’s People, a local ministry serving the homeless of Chicago, to donate surplus food from the restaurant to feed those in need. City Barbeque also is committed to hosting weekly fundraisers and has partnered with a different local charity every day of their opening week in Orland Park. Each organization will receive 25 percent of the sales when a guest mentions the organization upon placing an order. Regular hours are 10:30 a.m. to 10 p.m. daily. The Ohio-based company opened its first location in 1999. Aunt Sally’s restaurant at 1215 Burnham Ave. in Calumet City will close at 3 p.m. Sunday, April 29, bringing the end to the Sidkey family’s 71-year relationship with local residents. The Sidkey family opened a small grocery store at that location in 1947. It lasted until a fire in the early 1970s. The family then opened a full-service restaurant called Puffins. A few years later they converted it into a breakfast-lunch restaurant called Aunt Sally’s. It will be open as usual for the rest of this week. In neighboring Lansing, Bohemian Joe’s will close at 17940 S. Torrence Ave. the end of the day on Saturday, April 28. The 6,200-square-foot restaurant was opened in January 2016 in the former Popolano’s restaurant by the Paliga family. It was put up for sale last year and has been sold. No word on who the buyer is or what the future will bring. Also, in Lansing, the Golden Crown restaurant was closed suddenly without warning at 17904 S. Torrence Ave. A note on the door from the owner said he was retiring. 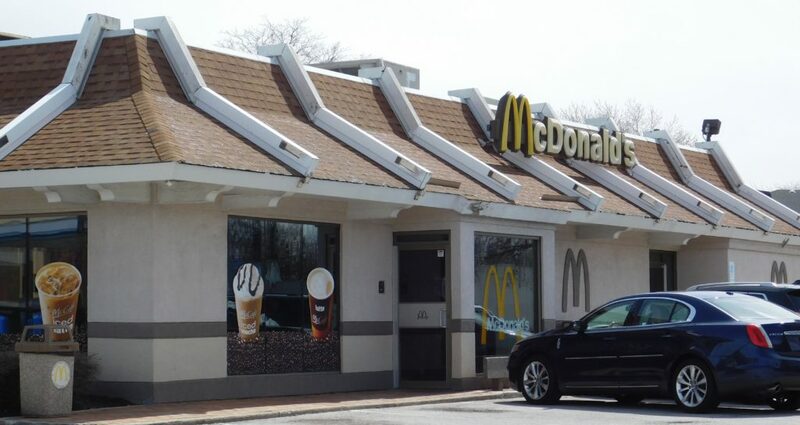 The McDonald’s restaurant near 171st Street and Harlem Avenue in Tinley Park will be closed for remodeling for several weeks. A sign at the restaurant said it would close at midnight Sunday, April 1, and be closed for between 12 and 16 weeks. A manager said the remodeling would include new equipment and the installation of a double drive-through lane. Mickey D fans were urged to use the location at 159th Street and Harlem Avenue. McAlister’s Deli has opened its first south suburban location in Orland Park’s new Gateway Plaza at 143rd Street and LaGrange Road. The restaurant opened Monday at 14309 S. LaGrange Road. Orland is the second location for a McAlister’s Deli operated by The Hari Group, a franchise development company based in Naperville. The first one is in Naperville. A third McAlister’s Deli location is planned for U.S. 30 and Wolf Road in Mokena. Patel said McAlister’s has a large variety of sandwiches, salads and soups. It also has a menu item called Spuds, which is a large baked potato that can topped with a variety of items from black olives and jalapenos to grilled chicken and black angus roast beef. McAlister’s is also famous for its iced tea, which can be regular or sweet or a combination. You can also get it mixed with lemonade. Patel said McAlister’s will offer dine-in, carryout and catering. “Eventually, we will have outdoor seating,” he said. Patel said hiring is still underway for the Orland location, which will employ 50-60 when it opens. The company started in 1989 in an old service station that had been turned into a 1950’s diner by a film crew. It now has more than 400 locations in 28 states. There are 18 restaurants in Illinois and two in northwest Indiana in Schererville and Merrillville. The 10,500-square-foot Gateway Plaza was developed on the former site of Steagerman’s Union 76 gas station and is kitty-corner from the University of Chicago Medical Center. A Visionworks optical shop is already open at the site. A City Barbecue restaurant is scheduled to open in the same development later this month. 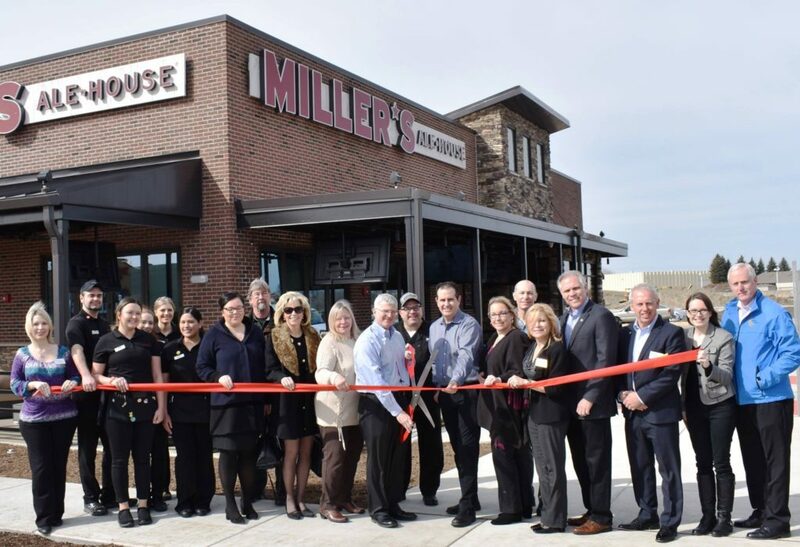 Florida-based Miller’s Ale House opened Monday at 15630 S. LaGrange Road in Orland Park. The chain bills itself as a restaurant and sports bar. The menu features boneless chicken zingers and sauces, steaks, pasta, salads, sandwiches, desserts and appetizers. The full-service bar features specialty cocktails, wine and more than 75 selections of local craft, seasonal and domestic beers. It’s the second south suburban location for the chain, which also operates a location in an outlot at Chicago Ridge Mall in Chicago Ridge. There are seven in Illinois. The chain now has 83 locations in 12 states and plans to open eight to 10 new spots each year. Hours in Orland Park are 11 a.m. to 1 a.m. Monday to Thursday, from 11 a.m. to 2 a.m. Friday and Saturday, and from 11 a.m. to midnight on Sundays. Miller’s is next to Chuy’s Tex-Mex, which opened Tuesday. Both businesses are on the former site of an Army Nike missile base. 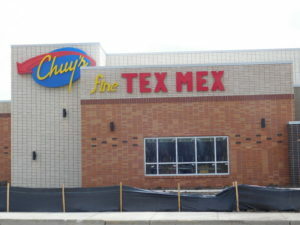 Texas-based Chuy’s, a restaurant that features Tex-Mex fare, is scheduled to open its first south suburban location next week in Orland Park. Nike missile base site. Other locations are in Schaumburg and Warrenville. The first 50 people in line when doors open at 11 a.m. will be awarded a year’s worth of “Free Chuy’s for Two” gift certificates, redeemable at the Orland Park location. The complimentary dinner includes 12 “dinner for two” certificates, redeemable each month from March 27, 2018, through March 27, 2019. The free dinner features an appetizer plate, two entrees and a dessert. Chuy’s Orland Park will be open from 11 a.m. to 10 p.m., Sunday through Thursday and 11 a.m. to 11 p.m., Friday and Saturday. On weekdays, the restaurant will also feature happy hour drink specials and its Fully-Loaded Nacho Car from 4-7 p.m.
Chuy’s was founded in 1982 in Austin, Texas. The chain offers family recipes from south Texas, New Mexico and Mexican border towns with options including homemade tortillas, fresh guacamole, hand-pulled roasted chicken, margaritas with fresh-squeezed lime juice, and 10 handcrafted signature sauces. The Orland restaurant will be the chain’s 93rd location. For more information, visit www.chuy’s.com or check out Chuy’s Orland Park on Facebook.